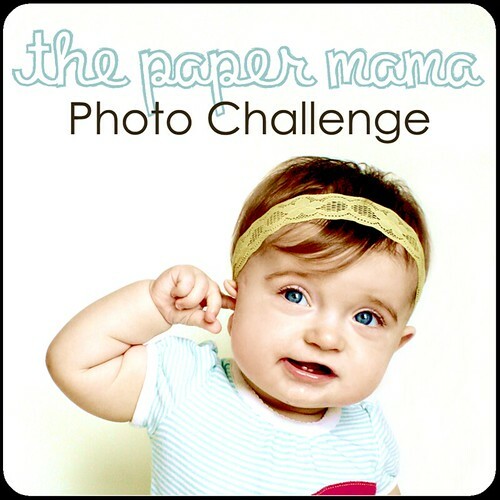 This week’s photo challenge over at The Paper Mama is: Fall. Now, there is no such thing as “fall” down here in Phoenix. It’s some mystical, mythical being of awe and wonder that we can only dream of experiencing, especially after several months of 100+ degree weather. There are no leaves to play in, no sweaters to wear, and I honestly have no idea if pumpkins exist in a setting other than the grocery store! I do have a contribution to this photo challenge! It just so happens that a couple of weeks ago my family had to make a long and arduous trek back home to Minnesota for my grandma’s funeral. Needless to say, when we got there it was like Heaven on Earth in Fall’s respect. It was great having to wear jackets and being able to go play outside in the middle of the day without turning into a painful lobster-face. Mom and Afton peering down the slide tunnel at me, waiting at the bottom for my little slide queen! 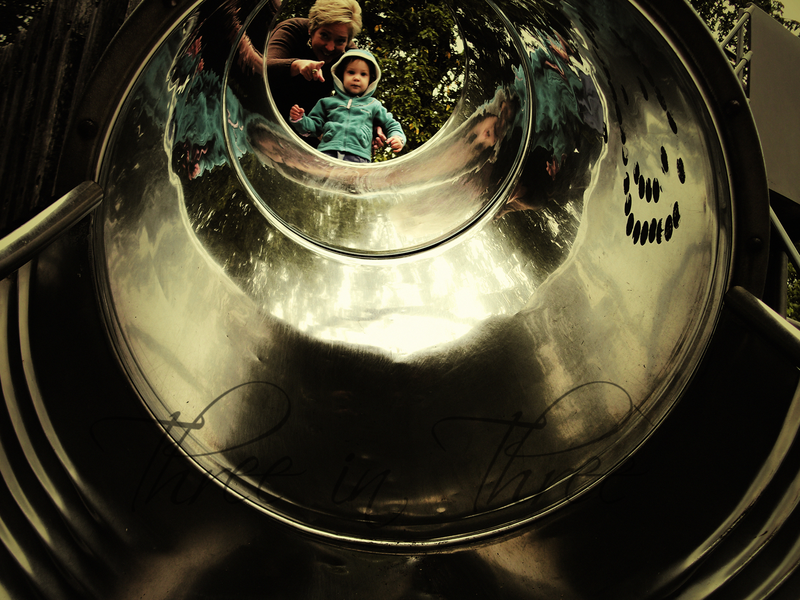 I absolutely adore this photo because my camera performed spectacularly. It has a panoramic mode in which you take three consecutive pictures and if you do it correctly, the camera automatically meshes them together for a lovely panoramic shot. I got this one on my second try, so I am pretty proud. Mom and Afton at the little dam in Mineral Springs Park. The day after we left Minnesota, the town had an epically historic flood, and all in the above photo was completely underwater. It was a huge disaster for the city, which they are still dealing with. Poor Owatonna. Now! Go check out the other entrants and show them some love! I love your interpretations of 'fall', particularly the 1st one. Great perspective. I have a pentax camera that meshes 3 photos together to take a panorama pic as well. It's a great feature if you can get it to work right. Thank you ladies! And yes, you definitely have to get it right for the panorama, my first attempt came out terribly! Even my third attempt was a little off, but the second one (above) was just amazing. I was so happy with it. That sounds like a really cool camera! Great pictures! They both are amazing! Fun shot! Love the perspective and the reflections!! very cool capture, i love the perspective as well. Thank you ladies, I really appreciate the comments!